The aesthetics of scandinavian design is based on subtle discretion and sobriety – furniture and equipment are elegant but practical, accessories and fabrics designed with art – it’s the perfect alliance of sophistication and simplicity. The first words that come to mind to describe scandinavian design are often light, simple and natural. Ergonomy and the high quality of craftmanship is guaranteed, thus creating, among others, the classic design icons in the 1950’s. 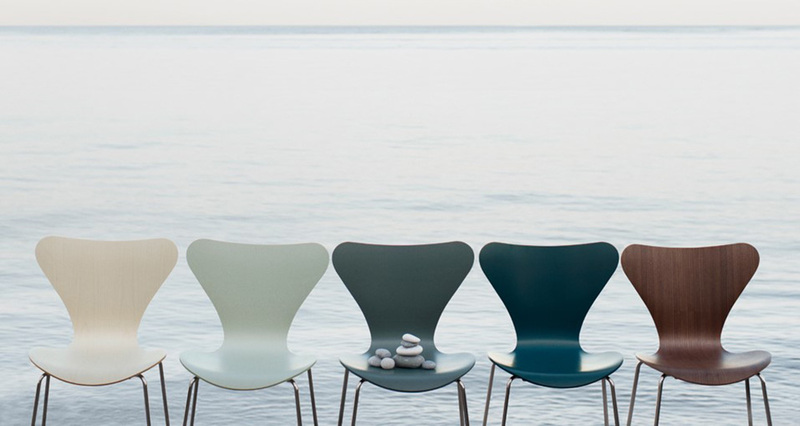 For example the « Ant » and« Seven » chair, the « Egg » and « Swan » lounge chair or the « AJ » lamp from the danish designer Arne Jacobsen and the famous « artichoke » lamp from PH Poulsen. These icons all share clean lines, high quality, great ergonomics, and timelessness that never goes out of style. They will last a lifetime because of their ability to easily be matched with newer designs. 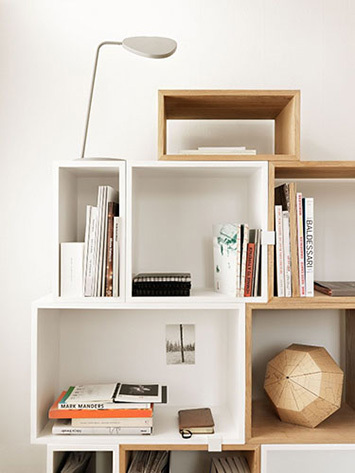 Today’s designers have a great heritage to base their work on, and the lines and styles from the older design can be seen in new brands such as the norwegian MUUTO with its « Stacked » shelves and wooden coffee table « Around », or the danish HAY with its collection of chairs « About a chair ». Furniture must be simple and easy to use for the whole family. Comfort without any fuss. In countries where summers are short and winters long, optimizing the diffusion of light is a priority. This is why scandinavian interiors favors white, often combined with light wood (usually oak or birch), with just a few patches of bright colour brought through fabrics and/or decorative items. Prefered materials are natural such as linen, cotton, wool, fedora and sheep or reindeer skin are used for comfort. The most prominent feature of the scandinavian style is the love of light and simplicity. Based on our origins and history, our projects are a reflection of scandinavian minimalism and cosyness.